Travis Scott takes his promotions to another level, for years I seen hip-hop billboards magazines front page, wrapped vans and cars online promo. T Scott took the promo of his new album 35,000 feet in the air the rapper booked a private plane from Cali to the Chi for him and 8 other people. 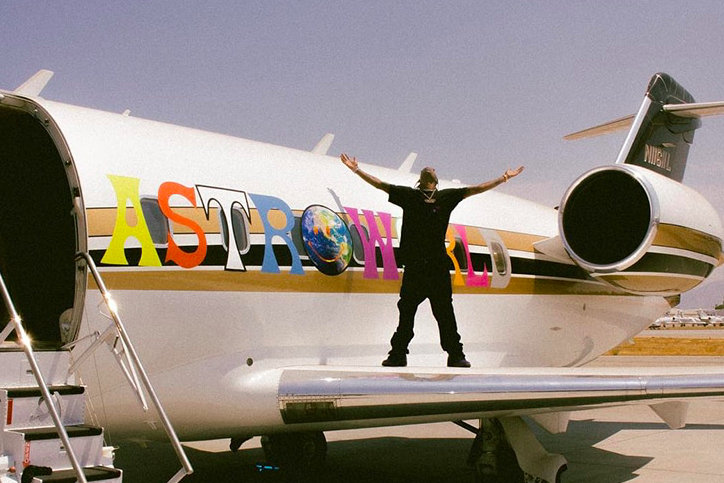 Travis also dropped $30k and had the private plane wrapped to promote his new album "ASTROWORLD" he just might be able to say he is the first to ever do it.